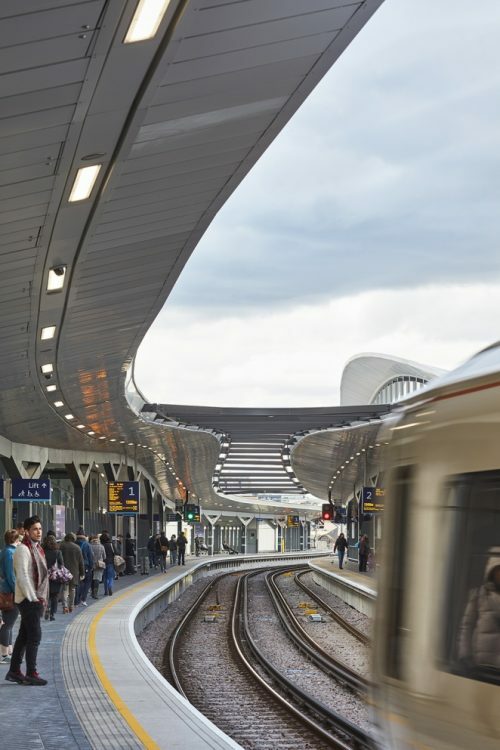 The station is the lynchpin of the Thameslink Programme’s government-funded commitment to improving London’s transport infrastructure between the north and south of the city. 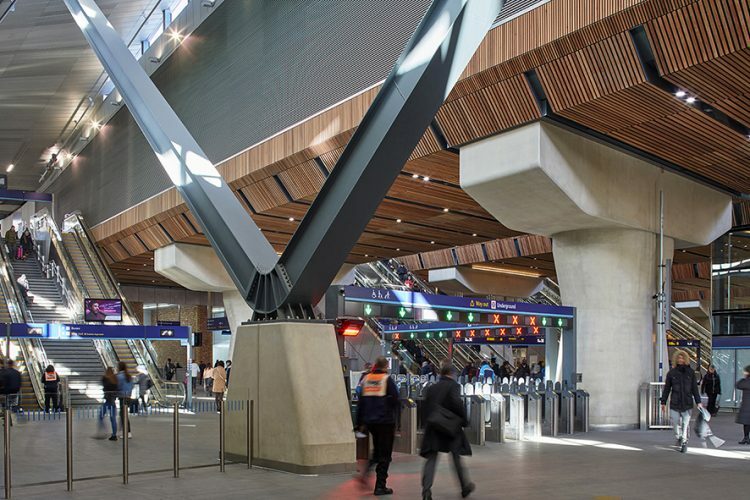 Its grand opening marks the final chapter of the station’s ambitious redevelopment which has been a collaborative effort between engineers Arcadis and WSP, who partnered for a joint venture, and architects Grimshaw, main contractor Costain, and Network Rail. Construction started on site in 2013, and since then the design team has worked together to resolve the technically challenging project in both scale and demand. 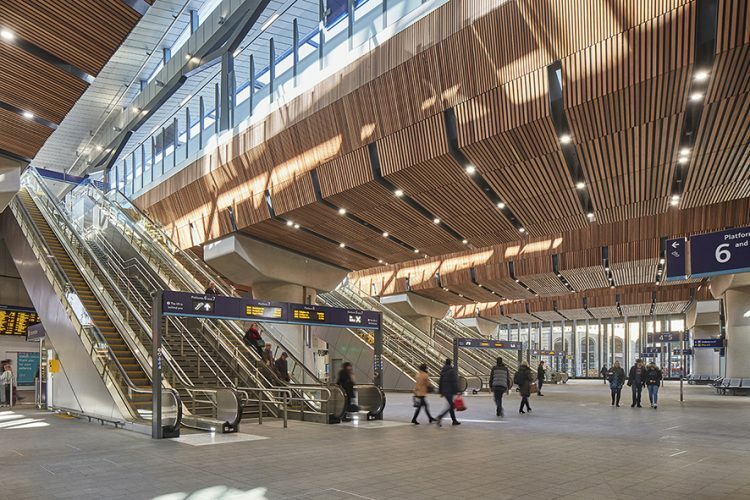 The resulting design gives careful consideration to its heritage context and surrounding communities, as well as its practical status as one of the UK’s most used stations. Due to a modular design technique with off-site construction, the station was open to the public throughout the redevelopment. 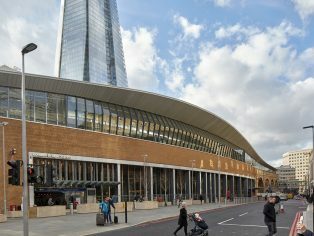 London Bridge station is designed to regenerate Southwark with a permeable design linking the station to the public realm at multiple points. 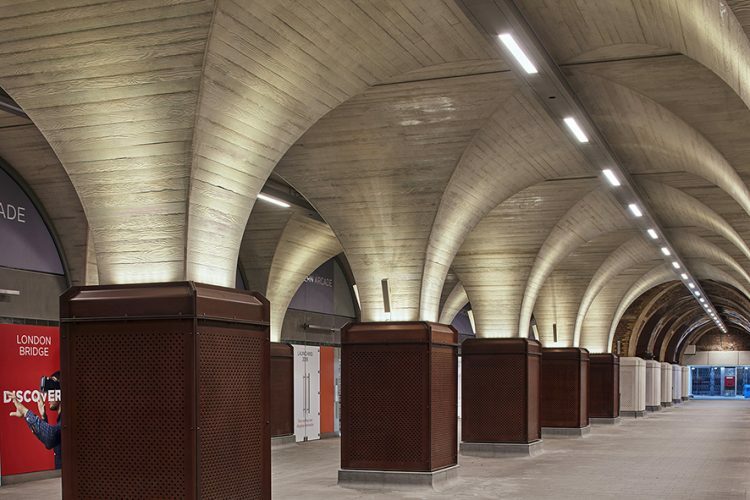 Two new entrances on Tooley Street and St Thomas Street provide a modern response to nearby Victorian arches, seamlessly marrying the old with the new and demonstrating the station’s status as a quintessential London building. 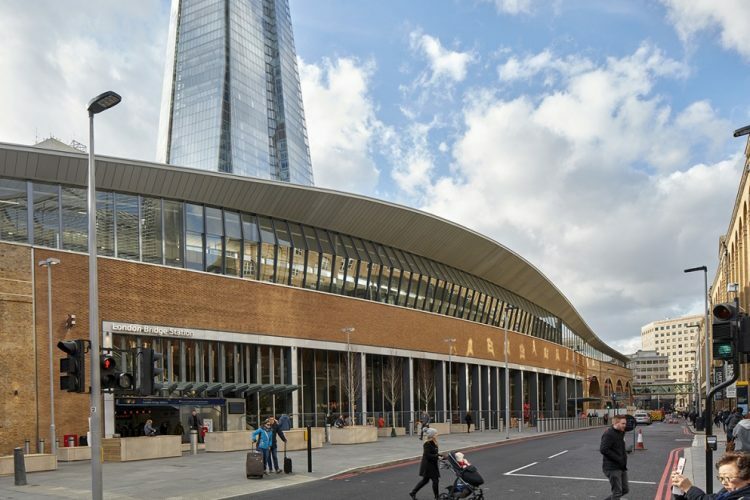 There are two key architectural concepts for London Bridge station. The first provides an expansive concourse and civic space that can accommodate increased passenger numbers and facilitate a quicker and easier interchange. Larger in size than the pitch of Wembley Stadium, the new concourse is 80m wide and 165m long and provides a generous public space which accommodates 50 million annual journeys and creates an environment where visitors can spend time in between travel with an array of high-quality retail and café offerings. 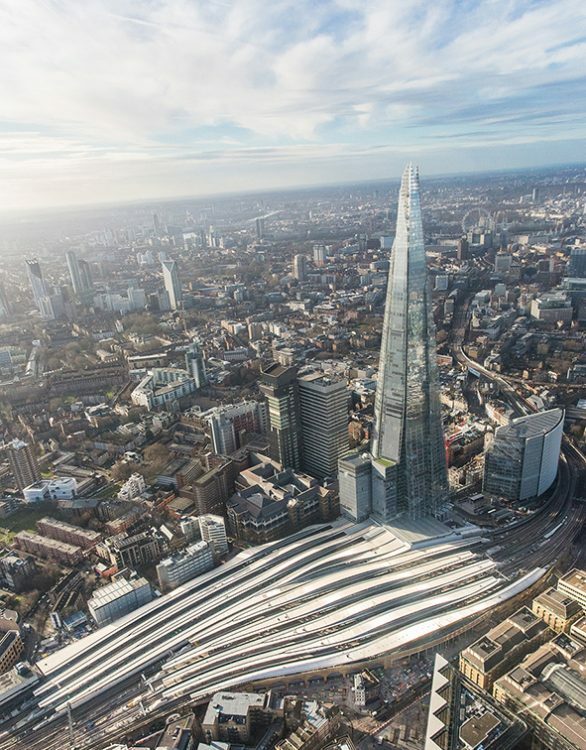 Another key architectural concept was to design with construction in mind; London Bridge is a major interchange and only two platforms at a time could be removed. Grimshaw designed the scheme to be modular and constructed off-site wherever possible, and this can be seen in the development of the roof as a series of ribbons which comprise 1,200 pre-fabricated cassettes. The canopies are designed to be read as one structure with unifying roof lights in the concourse to signal the importance of the space. Engineered elements including bridge deck columns, crossheads and Y-shape columns are expressed and actively celebrated. At the more ‘human scale’ and to balance the grey and steel palette, warm materials bring warmth to the space, such as the red cedar timber soffit in the concourse. 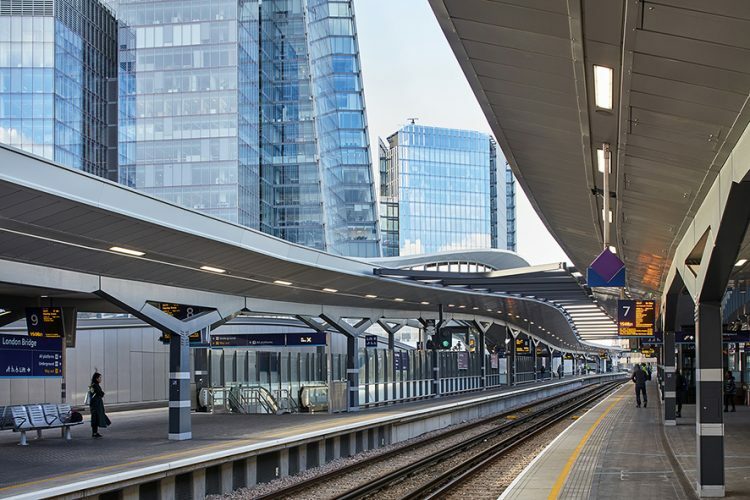 With an increase in ‘through’ platforms from six to nine and a reduction in terminus platforms from nine to six, London Bridge now offers increased capacity for the expected passenger numbers of up to 90 million per year.